While praising the Vikings' running back, general manager Rick Spielman didn't guarantee Murray will be in the fold next season behind Dalvin Cook. INDIANAPOLIS — Rick Spielman lauded Latavius Murray’s impact in his first season as a Viking. First downs and touchdowns were gained more easily in short-yardage spots, Spielman said, in part because of the 6-foot-3-inch running back. But at the NFL scouting combine on Wednesday, the Vikings general manager stopped just short of saying Murray will be in the fold next season behind Dalvin Cook. From Spielman’s glowing evaluation of Murray, the only logical hang up with his return would be his contract. A year ago, the Vikings signed Murray to a three-year, $15 million deal that was, in the reality of non-guaranteed NFL contracts, effectively a one-year, $4 million deal should the team choose to move on before March 16. The March 16 deadline, three days into free agency, is when Murray’s $5.15 million base salary for 2018 becomes fully guaranteed. That’s premiere money for a running back. Murray’s current salary cap hit of $6.35 million would be the fifth highest at his position next season, according to OverTheCap.com. The Vikings could very well approach Murray’s representatives this week in Indianapolis about restructuring that contract, which has two years and about $11 million remaining (none guaranteed before March 16). 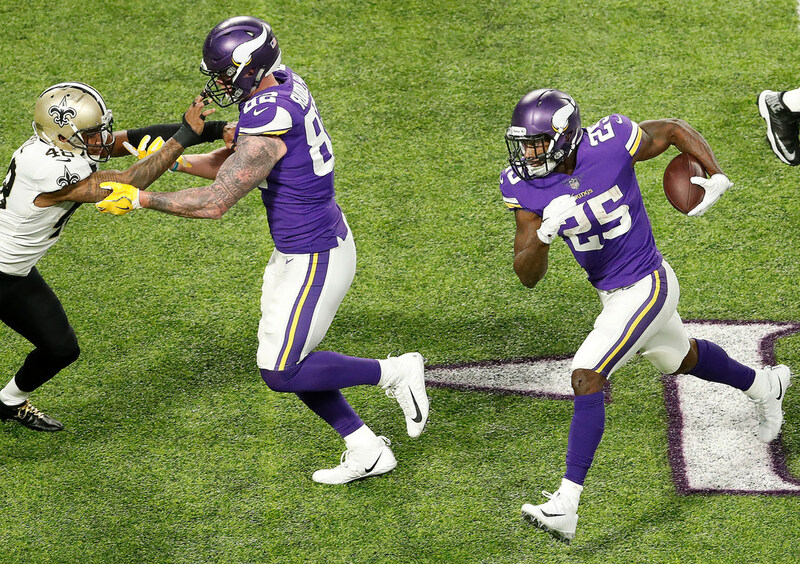 Murray ended up playing nearly 40 percent of the Vikings’ snaps last season while leading the offense with 842 rushing yards and eight rushing touchdowns. The veteran stepped into a more prominent role after rookie Dalvin Cook tore his ACL in Week 4. Should Cook return healthy, Murray is again expected to play a complementary role. Spielman seemed to like the sound of both running backs in the fold for 2018.